Arsenal defender Sokratis could be missing international game due to ankle injury. Sokratis internal side Greece, will be locking horns with Liechtenstein on Saturday. 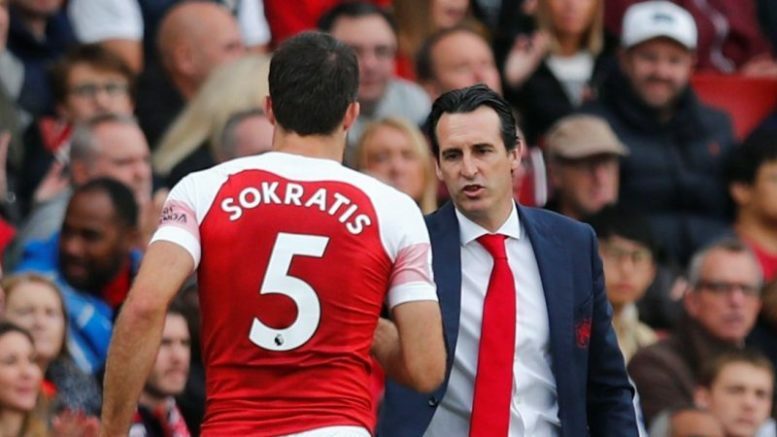 It was reported that the 30-year-old defender missed Greece Tuesday training due to ankle swelling, but he is certain to return before Arsenal April 1 league clash with Newcastle United. Be the first to comment on "Arsenal defender suffers injury setback"